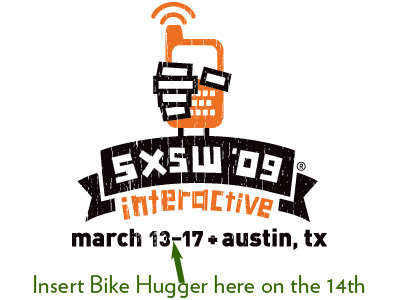 We’re hard at work on our next Mobile Social in Austin, Tejas, during SXSW Interactive. Last year we rode, BBQ’d, partied, and gave away product. This year, we’re back with 43% more bike culture. We’re adding rides and racing with the locals. The details will post as we finalize them, including the music and product we’re giving away. Check this microblog for updates. The Mobile Social SXSW is brought to you by our sponsors. Crumpler, Ibex, Dahon are back and Closed Loop Marketing just signed on. Please contact us if you’re interested in sponsoring. 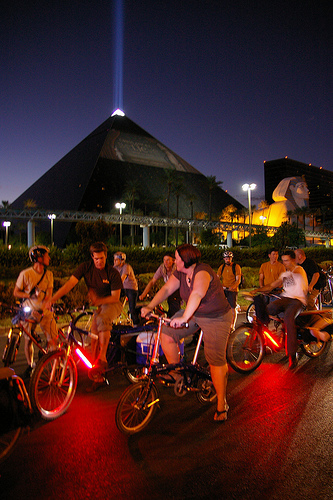 Our last Mobile Social was during Interbike. We rode the Strip and watched the USACrit finals. We had lots of fun. Learn more about what a Mobile Social is in this post.